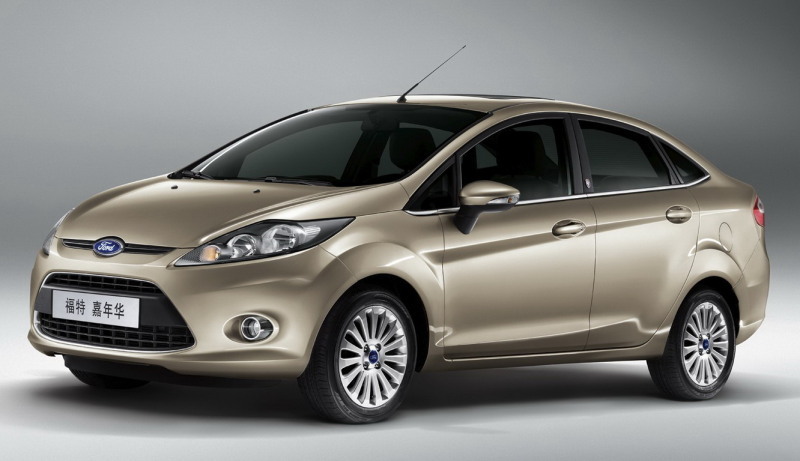 The new Ford Fiesta Hatchback is arguably one of the coolest and most practical small cars on the market today. Our love for the Fiesta has been absolutely no secret in the past and it seems we’re definitely not the only ones who are under the same mindset. It seems to be a pretty sporty car, which we like. Don’t agree? Take a look at the Top Gear segment where Jeremy drives one through a strip mall trying to outrun a Corvette- you’ll change your mind. We also think it looks pretty good, at least for a small car. B-Segment cars generally lack in styling, but the Fiesta is full of edges that aren’t desperate for attention (even though it gets it). But, of course, every manufacturer must have the ugly, red-headed, ginger stepchild that no one likes. And just like Macaulay Culkin’s parents had…well, him, Ford’s family outcast unfortunately lies in the Ford Fiesta Sedan. The Fiesta Sedan effectively takes all of the “cool” that is so present in the hatchback version and replaces it with a vehicle that looks as if a Chevy Aveo was its role model. Sure, the innards are the same and performance shouldn’t differ more than a little, if at all. But honestly, when you’re placed with the choice between a fun, sporty looking car that will turn some heads and be a blast to drive or a car that will help you blend into to middle-aged suburban America, wouldn’t the choice be obvious? Guess we’ll find out. Cast your vote in our (Almost) Weekend Pick now! AJ on September 24, 2010 at 4:01 pm. Oh man, I wish there were an RS variant! Jason Udy on September 24, 2010 at 6:46 pm. Tyson on September 24, 2010 at 7:29 pm. I like guessing who wrote the article before I get to the bottom. Usually if there is something mildly offensive it is Chad. Brandon and Jason… I’m working on it. Chad Waite on September 24, 2010 at 7:48 pm. Tyson, I didn’t mean to offend your love for Macaulay Culkin. I apologize.